Scoliosis is a condition in which the spine is bent abnormally, either to the right or to the left. In these parts, there is hardly any awareness of the medical condition, its symptoms and possible cure. Patients who live with Scoliosis face a level of discrimination from the society and are even referred to as ‘deformed’. In this interview with YNaija’s Impact365, the co-founder of Beyond A Curved Spine Initiative provides sufficient enlightenment on everything that there is to know about living with Scoliosis in Nigeria. Beyond a Curved Spine Initiative is a not-for-profit with focus on raising awareness for Scoliosis, building a community of love and support to Scoliosis warriors, say NO to bullying, body-bashing and low self esteem. What inspired the decision to set up the NGO? Beyond a Curved Spine was borne from a personal struggle. Founded by two Scoliosis patients leading healthy lives and want to raise awareness and spread encouragement. Ten years ago while I (Abby) was in high school, my classmate Abimbola (who had earlier been diagnosed with Scoliosis and with whom I co-founded the BACS initiative) pointed out my curve in the bathroom and because of this my parents were able to immediately seek help and access more information which resulted in a significant control in curve growth. This is our sole motivation, knowing that by early detection, children living with Scoliosis can immediately get help reducing the need for surgery and also building a community of love and strength for ScoliWarriors! How wide is your reach and how effective has your work been so far? In our one year of existence, we have been able to reach over 10,000 Nigerians [via traditional and digital media, organizing awareness runs and seminar engagements]. Our most common feedback remains: “Thank you, BACS! Because of you I now know what scoliosis is”. We’ve also been able to build a network of scoliosis patients from all over the country. It’s been challenging, but it’s been amazing! What are the common myths about Scoliosis that your NGO seeks to correct? i. Scoliosis is not a postural problem. ii. You do not get scoliosis from a soft mattress or carrying heavy school bags. iii. Scoliosis is not contagious – you cannot catch it from someone who has a curvature. iv. Having scoliosis does not mean that you will not be able to have children or will have trouble with a normal birth. vi. Scoliosis patients are not potential candidates for money rituals. The hump on their back does not signify some amount of mercury that can enhance the productivity of money rituals. What is the typical Nigerian perception of people who have Scoliosis and how does this influence your work? “They are not normal”. That’s the typical Nigerian perception of people living with scoliosis. Generally, we live in a society that is not exactly friendly with anything “different” especially in physical terms. Many scoliosis patients feel stigmatised because people usually classify them as deformed, bent, hunchback people and react to them as such. I remember a case where a patient shared how she was called “Hunchback of Notre Dame” while in high school. These are terrible perceptions and must be corrected! How it influences our work? A scenario comes to play. Recently, we reached out to a Scoliosis warrior to lend her voice to the cause, as part of our activities for the scoliosis awareness month. She declined to do so, following advice from her management team to refrain from identifying with scoliosis for now. No offence taken. This is the major issue we face in our work. Scoliosis patients are usually discouraged to speak up, majorly following advice from relatives and other close allies. The fear of being tagged as someone living with scoliosis [abnormal] is real! LoL! We will not stop working hard to change this. Can Scoliosis as a medical condition be prevented and can it be corrected in patients? ▪ Scoliosis is an abnormal curvature of the spine- the spine is curved to one side of the body, rather than straight. ▪ Scoliosis affects girls more than boys and occurs most often during the pre-adolescent years (from ages 10-16). ▪ 80-90% of scoliosis cases are idiopathic (meaning they have no known cause). ▪ Scoliosis has no favourites- anyone, anywhere, at any age, regardless of socio-economic factors can have scoliosis. ▪ Scoliosis has NO 100% cure. ▪ A progressive curve that is left untreated can cause heart, lung and neurological complications, and even death. ▪ Early detection and treatment IS THE BEST WAY TO DEFEAT SCOLIOSIS! Since 80-90% of scoliosis cases have no cause, it CANNOT be prevented. However, EARLY DETECTION is literally a life saver! There are signs of scoliosis so we all need to WATCH OUT! Can it be corrected? There is no 100% cure for scoliosis, but there are treatment options such as Bracing, Physical Therapy and Surgery. Treatment depends on severity of curve among other factors. 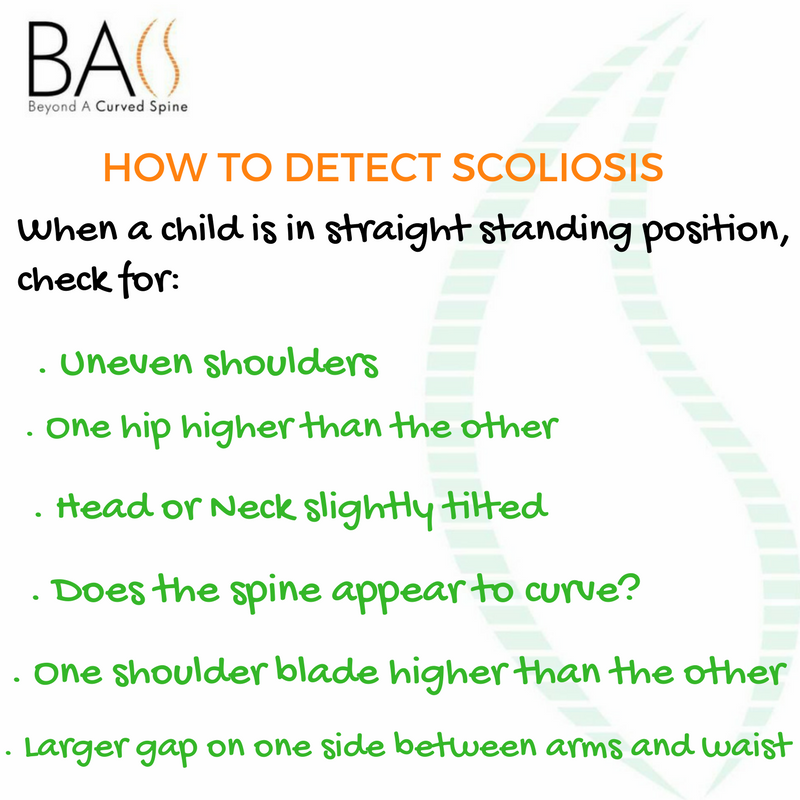 However, EARLY DETECTION is the best way to defeat scoliosis. Are there hospitals in Nigeria that tend specially to children with mild scoliosis or even adult patients? The major hospital in Nigeria that is known to tend specially to spinal conditions such as Scoliosis is the National Orthopaedic Hospital, Igbobi. There are also few private hospitals specially focused on conditions like scoliosis such as the Spinecare Hospital in Abuja. Overall, there is NO one hospital specially focused on Scoliosis alone. What are the challenges you face as an NGO? Do you receive any support from the government at federal and state levels? We do have our challenges as an NGO and we constantly find ways to tackle and get the best of them. Our major challenge has been accessing available data that reflects a true number of persons living with Scoliosis, so this requires us to carry out our data gathering independently. At the moment, we do not receive any support from the Government yet but hopefully this will change soon enough. June is Global Scoliosis Awareness Month. What impact does your NGO plan to leave with Nigerians this month? Yes it is and we are super excited! Yayyy!!! We plan to educate at least 50,000 more Nigerians via all our activities lined up for the month. We have different campaigns on social media and off social media in different parts of the country. We are doing as much as we can to make sure everyone knows Scoliosis. What are the upcoming programmes you have? -Run/Walk for Scoliosis Awareness. 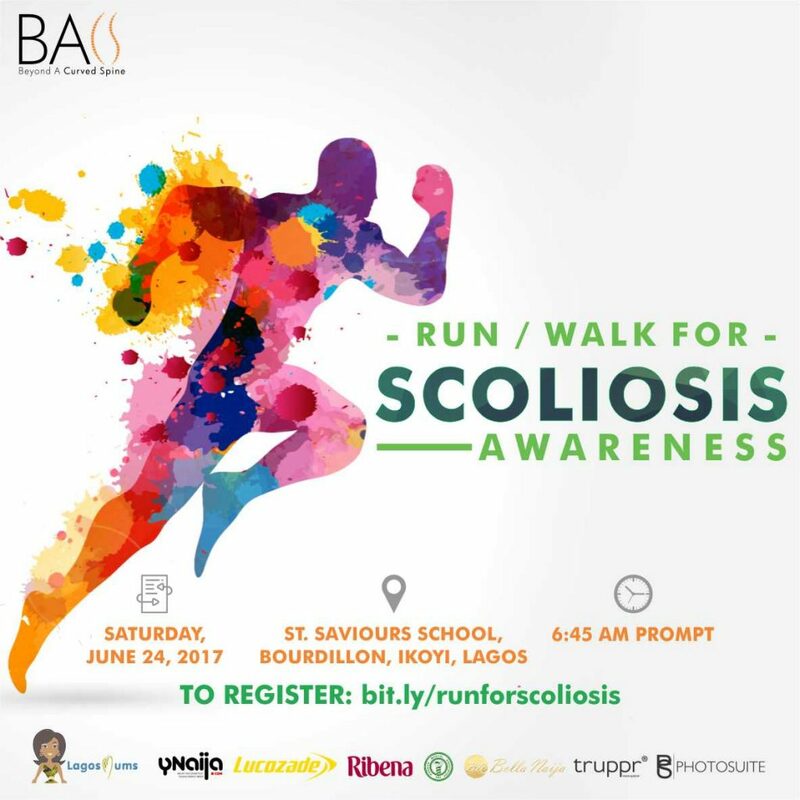 We are having the second edition of our Scoliosis Awareness walk/run on the 24th of June [see flyer below for details]. 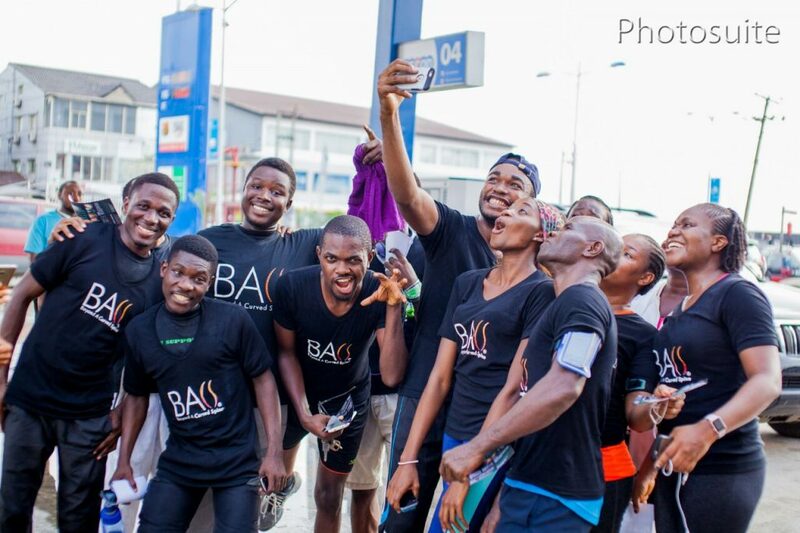 The run/walk would be taking place in 3 states [Lagos, Ilorin and Port Harcourt]. We will also be conducting a scoliosis screening session so come along with your kids! Sign up for free at bit.ly/runforscoliosis to join us! -Social Media Campaigns. We are running two social media campaigns #WearGreenForScoliosis #TellYourConquerStory. Green is the colour for Scoliosis and we are encouraging/challenging people to put on an outfit with a touch of green any day in the month of June to raise awareness. Tell Your Conquer Story is simply a campaign that brings together all warriors from Nigeria that will be sharing with us their scoliosis journey. -Got Your Back! Got Your Back is a monthly work-out clinic for scoliosis patients. Every month [from June 2017], scoliosis patients, led by certified instructors, come together to participate in core and back muscle strengthening work out sessions. -We also have programmes on radio, TV and outreaches in schools, churches, mosques and various gatherings aimed at educating and enlightening people about Scoliosis.